Easy to Learn Korean 1553 – Ideal spouse (part two). 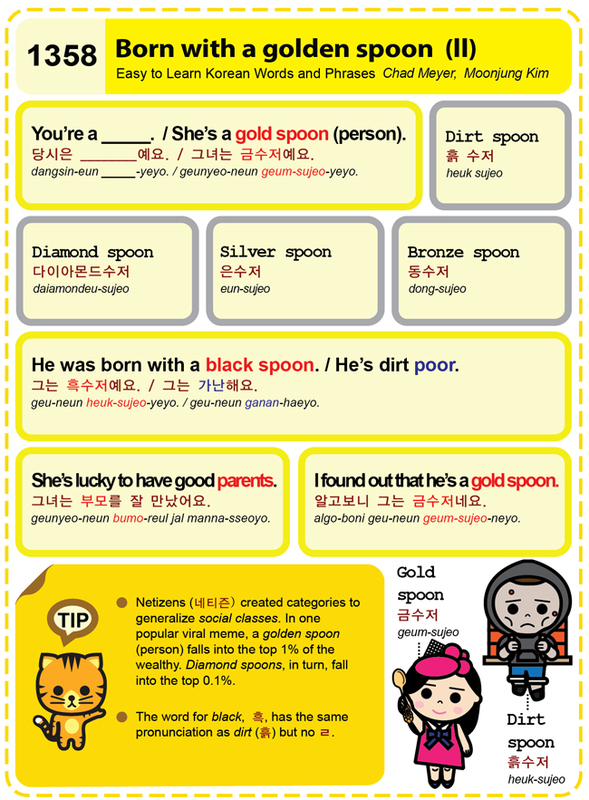 Easy to Learn Korean 1358 – Born with a golden spoon (part two). 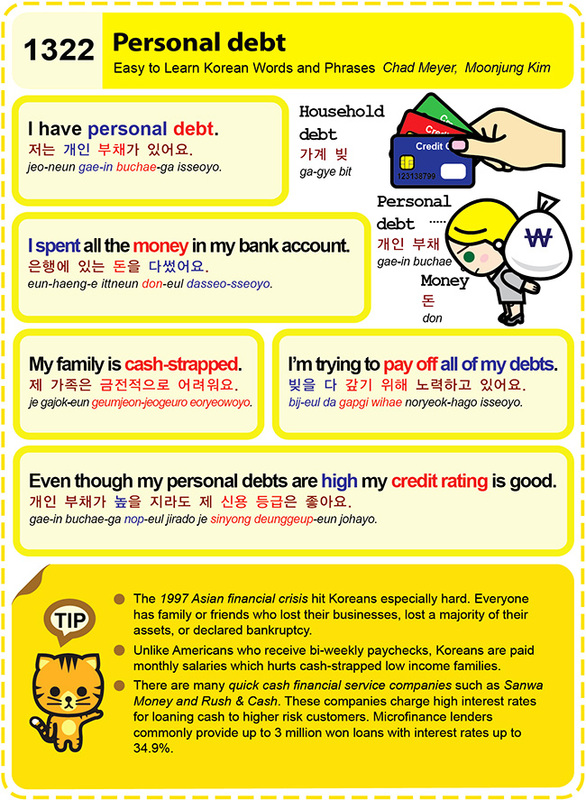 Easy to Learn Korean 1322 – Personal debt. Posted in Series	| Tagged 1997 Asian financial crisis, assets, bi-weekly paychecks, cash-strapped low income families, declared bankruptcy, Even though my personal debts are high my credit rating is good., high interest rates, household debt, I have a lot of personal debt., I spent all the money in my bank account., I’m trying to pay off all of my debts., loaning cash, Microfinance lenders, money, monthly salary, My family is cash-strapped., personal debt, quick cash financial service companies, Rush & Cash, Santa Money, 가계 빚, 개인 부채, 개인 부채가 높을 지라도 제 신용 등급은 좋아요., 돈, 빚을 다 갚기 위해 노력하고 있어요., 은행에 있는 돈을 다썼어요., 저는 개인 부채가 있어요., 제 가족은 금전적으로 어려워요.